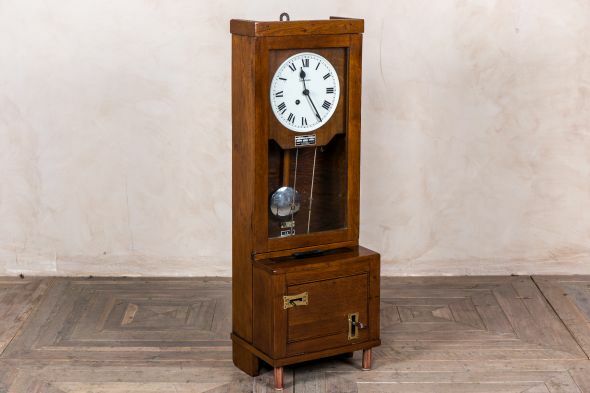 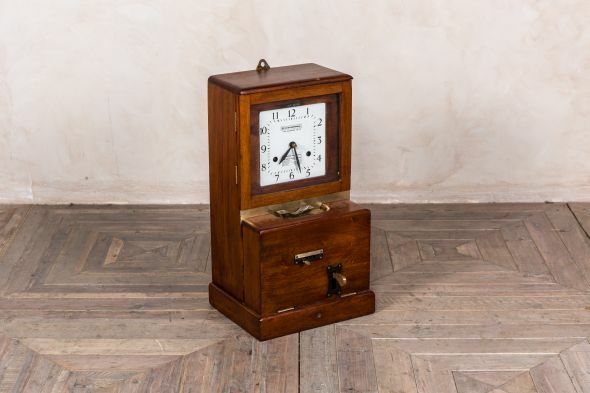 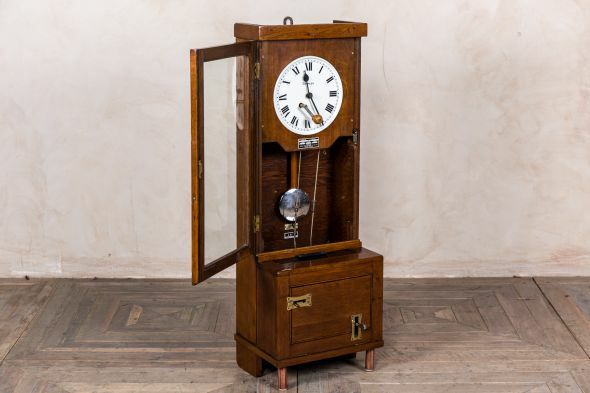 A unique piece, this vintage clocking in clock would be perfect for adding nostalgia to any room. 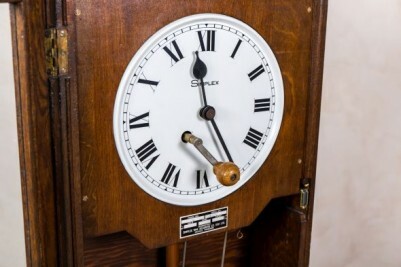 The clock is in full working condition so you can use it as originally intended, or simply as decoration. 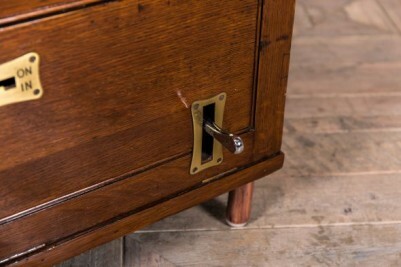 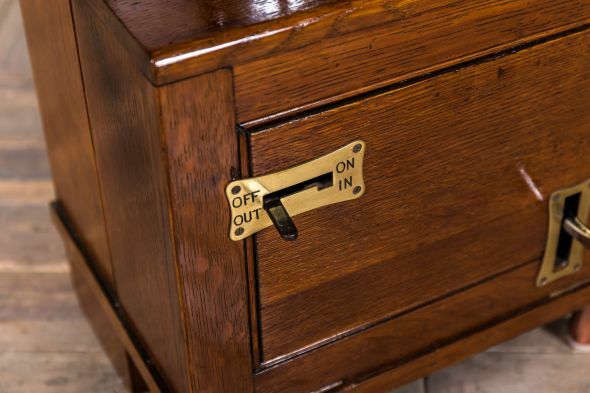 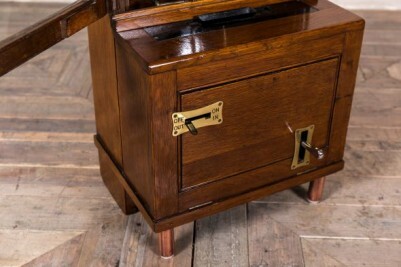 It would suit a vintage inspired interior, or quirky bar, cafe or restaurant. 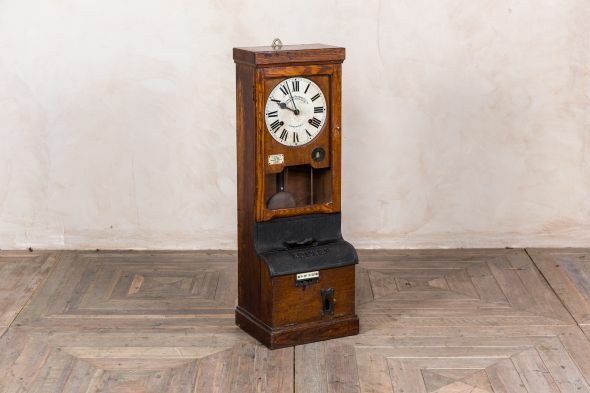 This vintage timepiece is a rare find and would make for an interesting conversation starter. The clock is made from solid wood and comes with a key which enables its use. 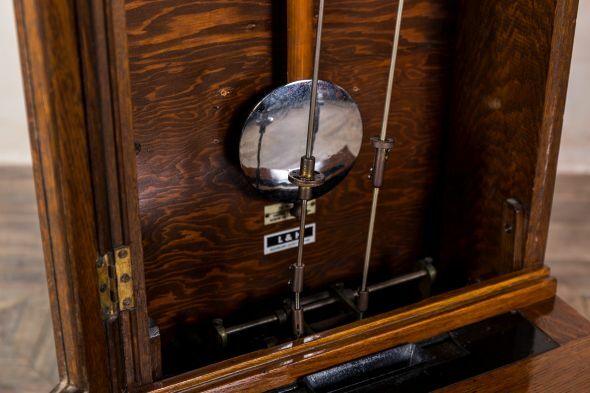 The pendulum is locked in place for transportation reasons but can be unlocked to enable it to work. The clock is in very good condition, but as the clock is an original vintage item it may show some signs of wear and tear; however, we feel that this only adds to its charm.